Deep dark purple in the glass this is a full bodied Cabernet Sauvignon with aromas of blackberry, warm baking spices and creamy oak. The rich flavors of ripe boysenberry and black plum are framed with a touch of mocha and dried green herbs. Woven throughout are velvety oak notes, rounded tannins and medium acidity and give the wine its structure. 21 months in small French oak barrels. 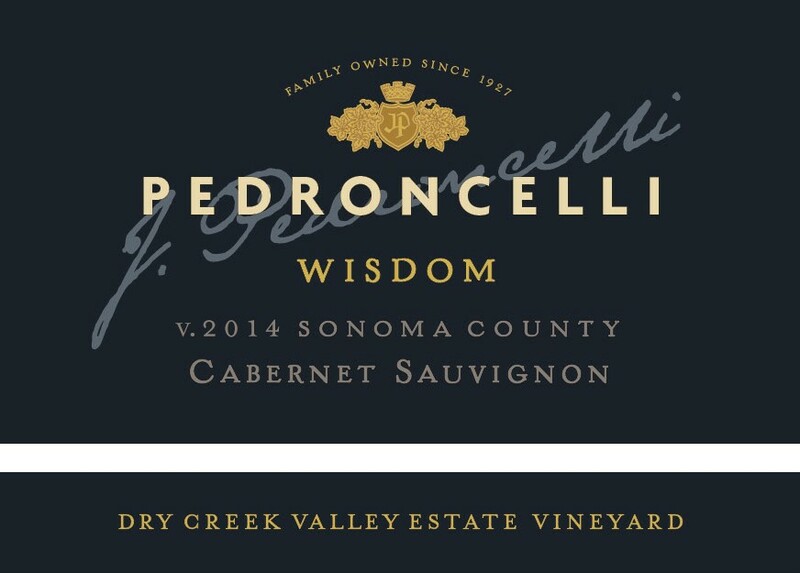 Pedroncelli purchased the property (Wisdom vineyard) in 1965 and is comprised of 5 acres on the west slope of the Dry Creek Valley along West Dry Creek Road. First planted to Cabernet Sauvignon, a recent replanting replaced the 40 year old vines.